The community uprising witnessed in Elkhart, Indiana last month has failed to stop a lawsuit filed in federal court by the Freedom from Religion Foundation and the ACLU. The two organizations have pooled resources to fight public will and the expressed sentiments of a local school board defending the performance. Their argument is that the Nativity portion of the performance is unconstitutional and “illegal”. Even though the event is entirely voluntary the fact that it is sponsored by the high school is reason enough for courts to declare the event improper. The scene traditionally fills the final 15 minutes of a long program that features music of both a sacred and secular nature. 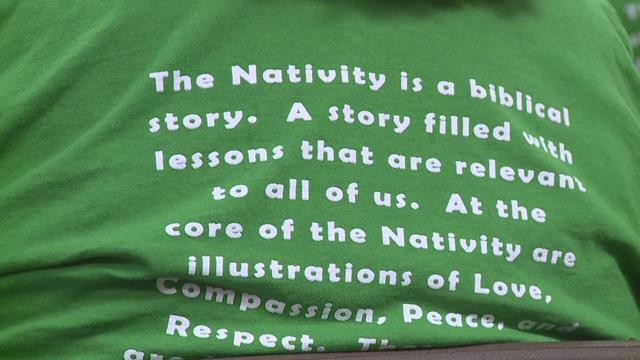 Interestingly, this lawsuit comes on the heels of another one lost by the FFRF in Franklin County, Indiana arguing about the illegality of nativity scenes on public property. 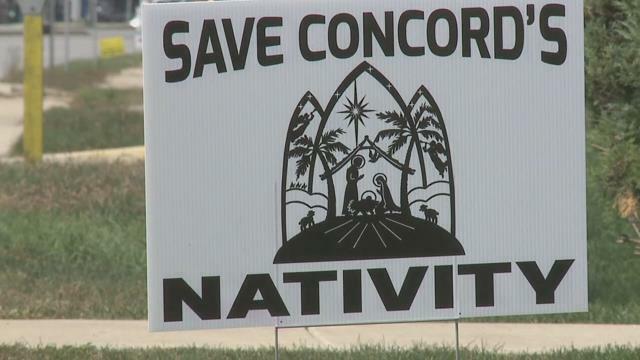 The Superintendent of Concord Community Schools in Elkhart, Indiana, John Trout, gave a rousing statement of support after a large public showing against the efforts of the FFRF to quell performance of a live nativity at an annual Christmas concert put on by a local high school. The event has a 30-year tradition. 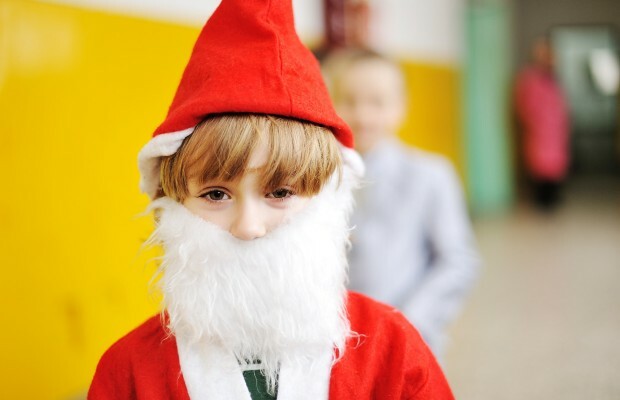 “At the outset, let me state unequivocally that Concord Community Schools disagrees with the Freedom From Religion Foundation’s assertion and demand that any school celebration occurring during the Christmas holiday season must be purely secular. That is not an accurate statement of the law. Decades ago, beloved music department chair, Joe Beickman began the Spectacular, modeling it on Radio City Music Hall’s annual performance, after the high school band attended a performance following the band’s participation in the Macy’s Thanksgiving Day parade. As always, if a stuent or parent finds objectionable any portion of the Spectacular, or any school assignment for that matter, that student is free to opt out of the performance or assignment. Many students have chosen to do so in the past. 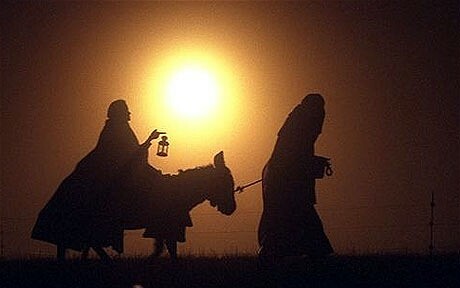 The Nativity Scene participation is purely voluntary and is rehearsed only after school hours. It provides historical context to the entire holiday season and is a small portion of a two hour long performance. 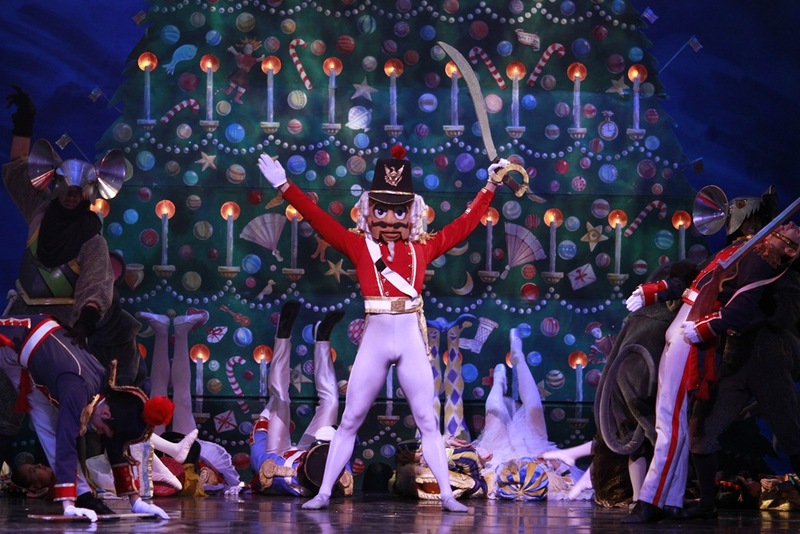 The Spectacular also traditionally includes secular, holiday musical favorites, such as Jingle Bells, Let It Snow and Parade of the Wooden Soldiers. 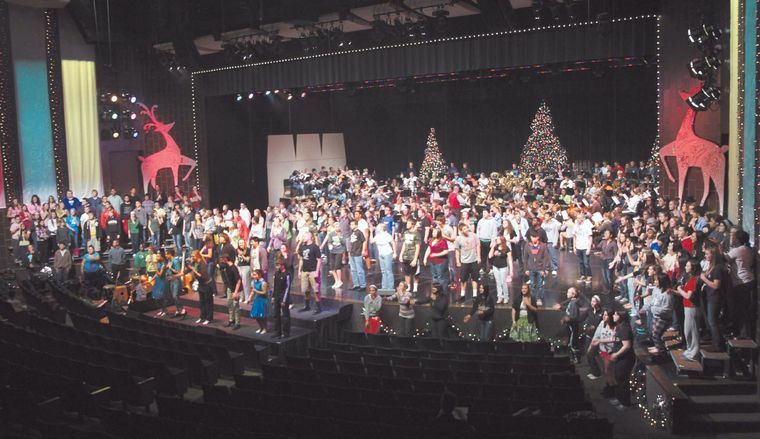 For more than 30 years, the Spectacular has been an important part of the Concord High School holiday experience. It will continue to be so. Local sources indicate that hundred of people and several news stations were at the event held tonight. The forces are gathering in Elkhart, Indiana to fight to keep a Christmas tradition alive. 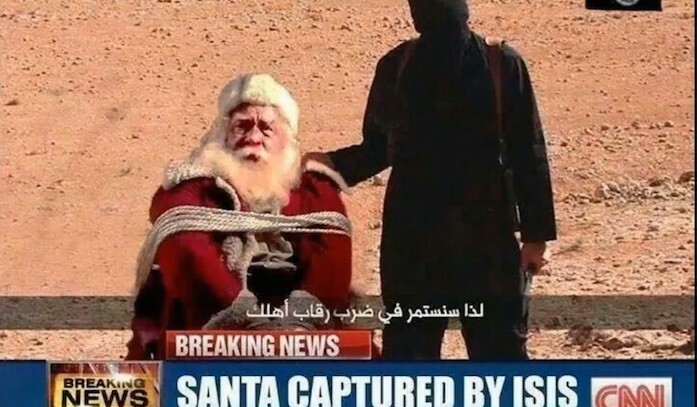 As we reported last week, the Freedom from Religion Foundation is pulling their annual stunt of claiming a local unnamed resident has complained about religious elements in an annual Christmas concert event sponsored by a local high school — in this case, Concord High School in Elkhart, Indiana. The FFRF says to remove that part of the program or they will sue the school district. 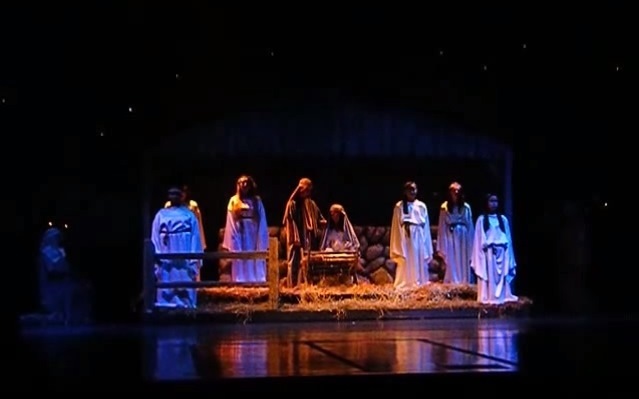 The FFRF has told the school district the Nativity portion of the performance is “illegal” and “inappropriate.” They claim that allowing religious music and messaging at the concert violates the separation between Church and State and that such is unconstitutional. 1. They can perform whatever they want and that is protected by the First Amendment. 2. The Constitution says NOTHING about the separation of Church and State. The constitution prohibits CONGRESS from establishing a state religion. A school singing at Christmas hardly constitutes establishing a religion. It’s a concert, not a baptism. 3. Anyone who feels the content of the Christmas program is inappropriate is advised to simply not attend. This, of course, is not about separating Church and State. This is a wholesale attack on Christianity — and education. And the FFRF does it every year. A Virginia school board has voted to use the words “Merry Christmas” on school marquees later this year. Risking lawsuits and bad publicity the Powhatan County School Board in Virginia made the decision after residents approached them three times in the past year to say Merry Christmas. Christopher Smith of Powhatan came before the board at meetings in October and December 2014 and then again in May 2015 to make the request. He spoke alone at first, but in the subsequent meetings, he brought an increasing number of supporters. Board members had agreed in earlier meetings that for the sake of inclusiveness, having the message on school marquees presented too many potential pitfalls and was an opportunity for some group to be left off. 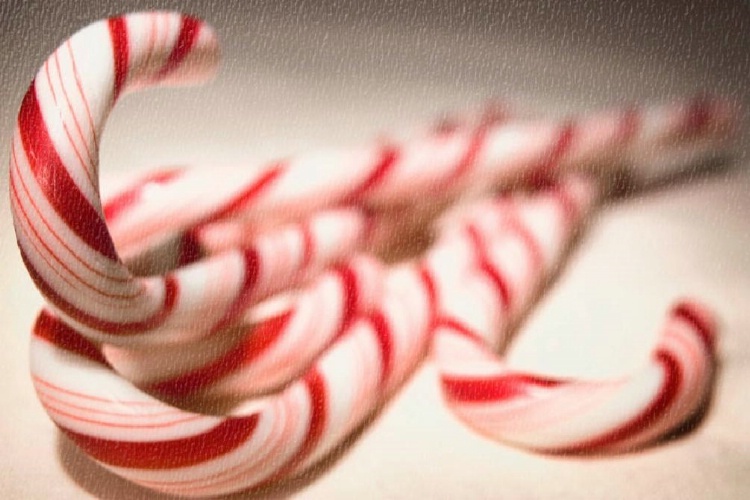 But the superintendent of the school board took a straw poll after checking with attorneys and recent case law on the use of “Merry Christmas”. 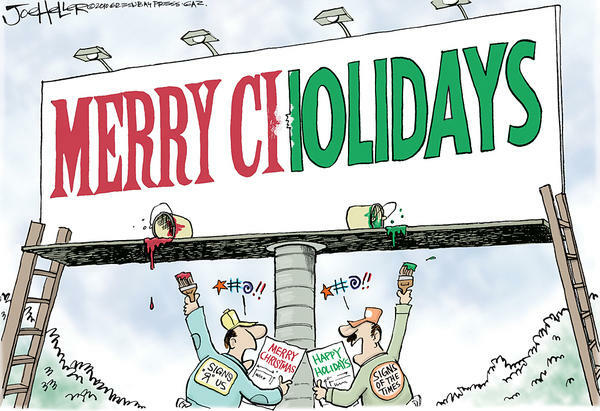 Even still — just to be sure no one is left out and the chances of a lawsuit is minimized — the school district declared the marquees will say “Merry Christmas and Happy Holidays”. The world breathlessly awaits the public outcry over this bold decision. 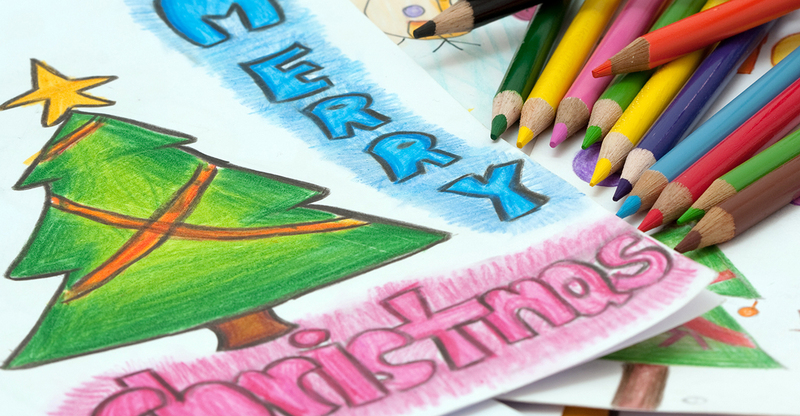 The state of Virginia has not passed a “Merry Christmas” bill protecting schools from litigation on this matter so the stakes are quite high. Thousands of signatures, a very public protest and hours of debate could not change the 3-2 vote — Marshfield schools will exclude Christmas in describing their holiday break on the school calendars. 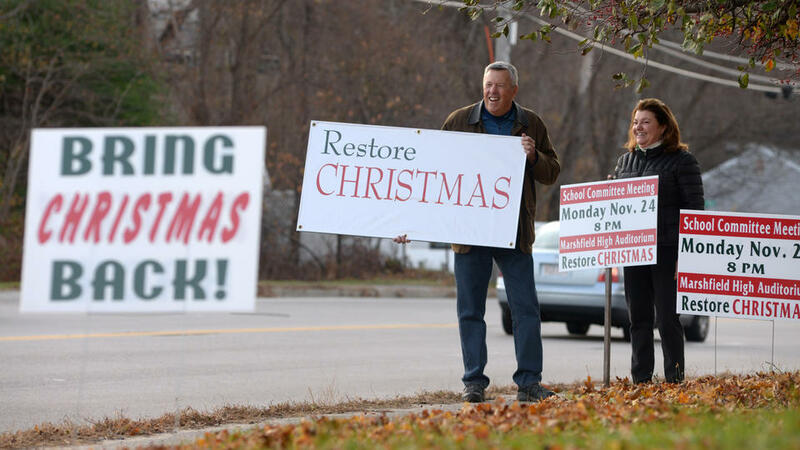 More than 4,000 parents in Marshfield signed a petition to change the name of the school break in December and January to Christmas, break from the recently rebranded holiday break. The School Board met to discuss the decision Monday night, but after two hours the voted to keep the name holiday break. “Marshfield is not a diverse community. It’s very important that we do whatever we can to expose our students to the global world that they are not part of yet,” School Board Chairman Marti Morrison said. Parents in support of Christmas break said the school is trying to abolish all things Christian. “It’s not a way to accept all students. 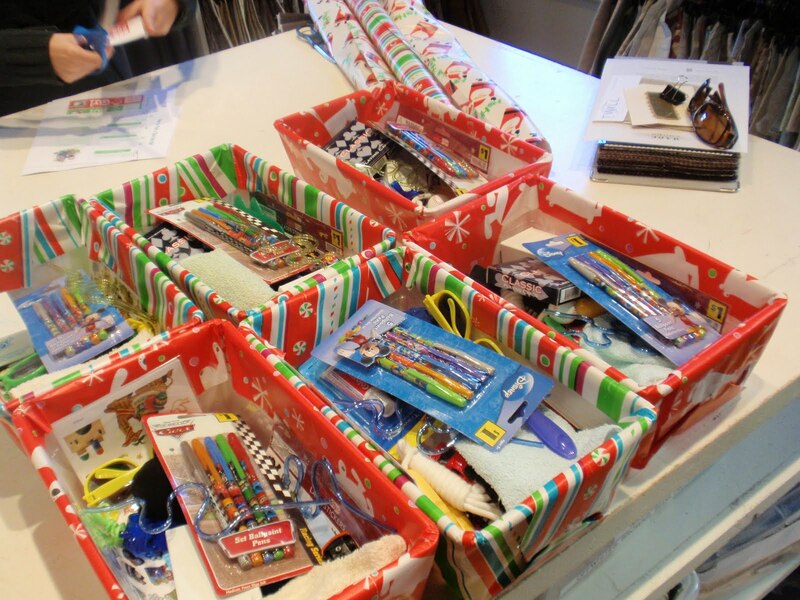 What it’s doing is excluding the Christian faith.” Elaine Taylor, a parent, said. Nearly 200 parents and residents were at the meeting, most of those who spoke agreed with the name holiday break. “The school calendar should reflect the diversity of all the students in this town, not just the majority of them,” one parent said. The school board said they celebrate all the holidays and faiths over the break in December, including Kwanzaa, Hanukkah and Christmas and after receiving complaints through email, felt changing the name to include everyone was the right thing to do. The two hours of public comment was followed by a 3-2 vote in favor of keeping the name holiday break. All schools in Montgomery County Maryland will have no religiously named holidays on their school calendars for the 2015-16 school year after a request for inclusion by Muslim activists was denied. 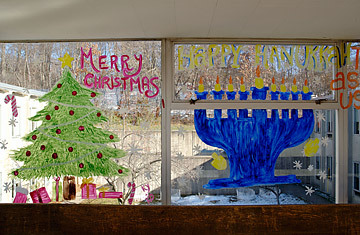 In response, Montgomery’s Board of Education voted 7 to 1 Tuesday to eliminate references to all religious holidays including Christmas, Easter, Yom Kippur and Rosh Hashanah.